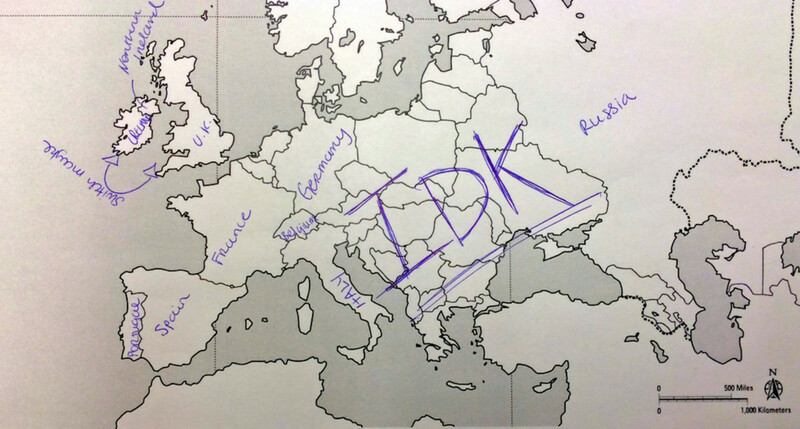 It should come to no surprise that most Americans are a little clueless when it comes to global geography. 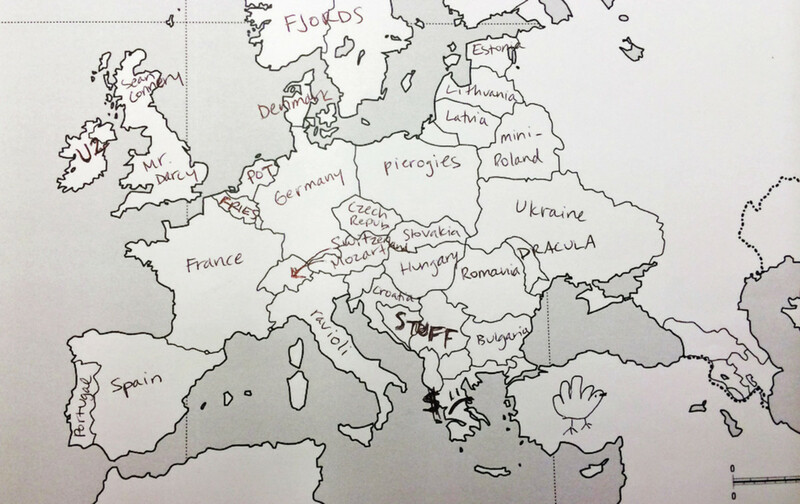 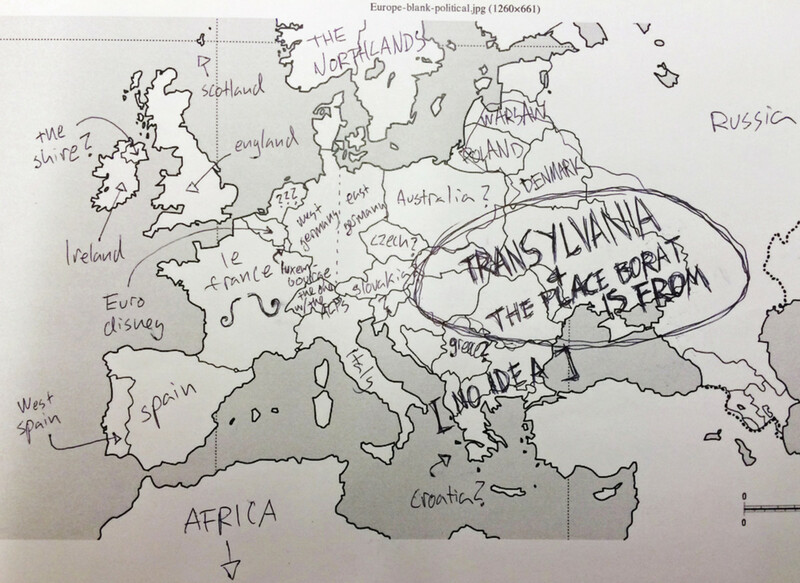 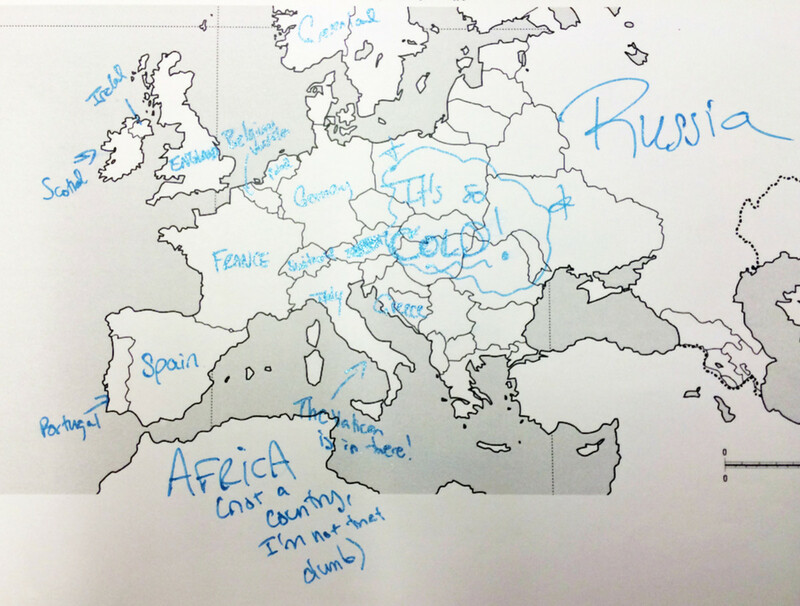 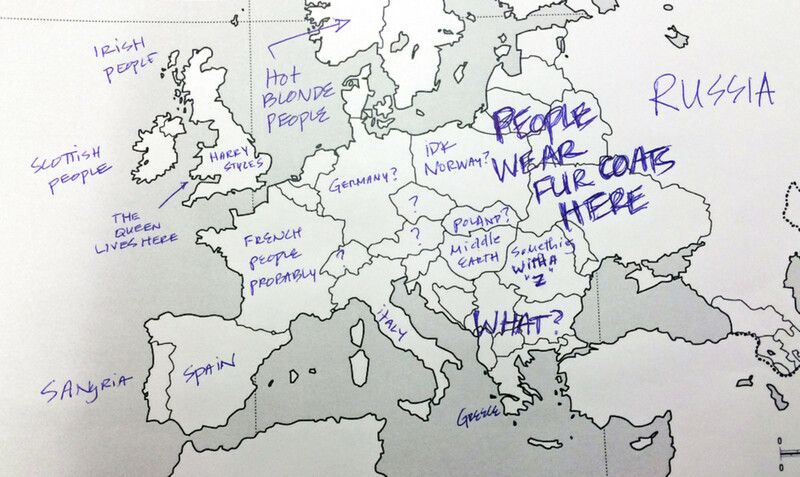 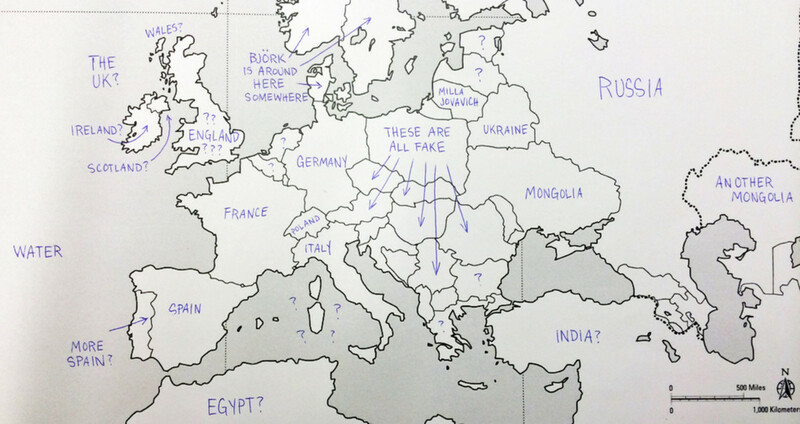 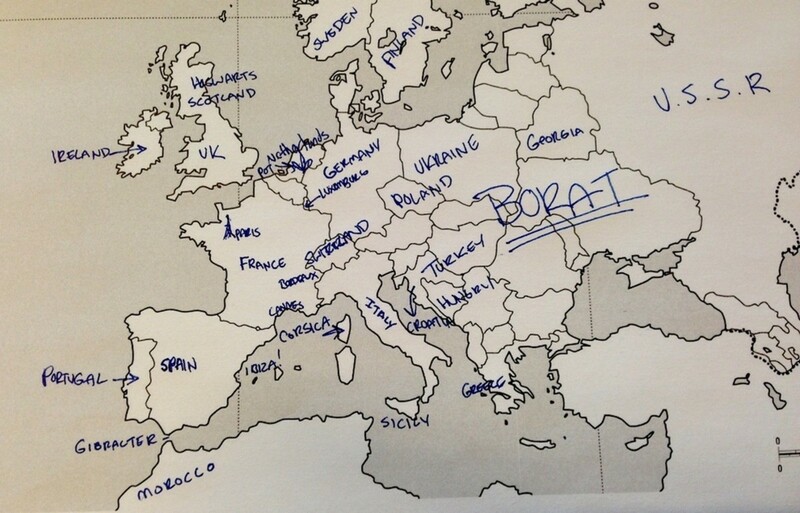 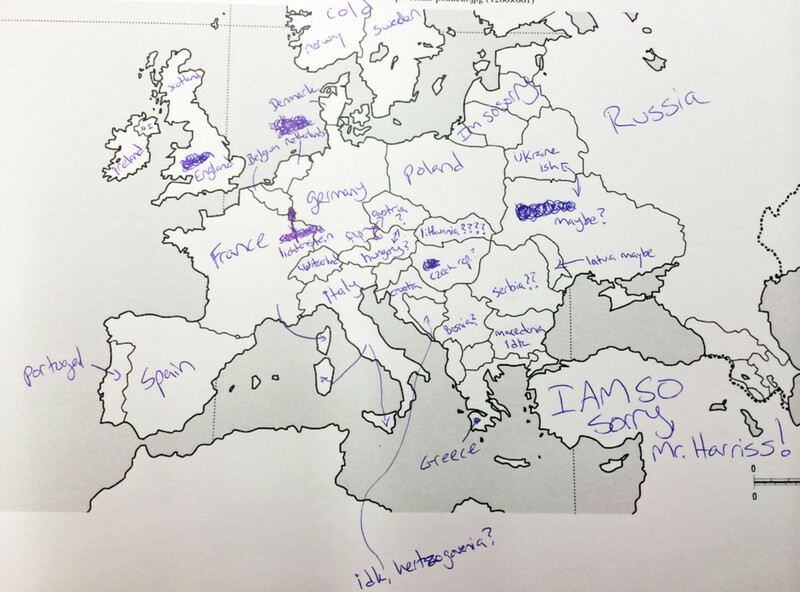 The editors at BuzzFeed tried to prove the stereotype wrong, asking a handful of happy volunteers to write in the countries on a blank European map. 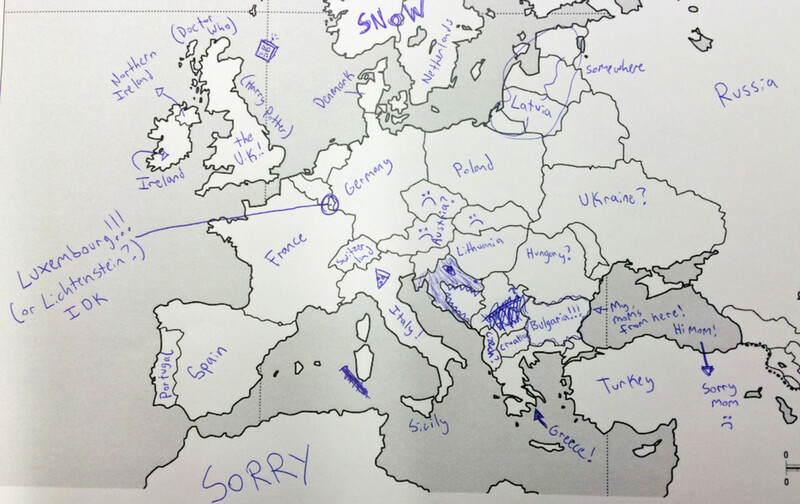 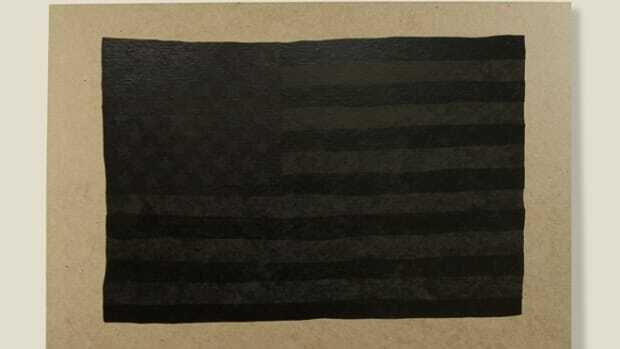 The end results are...a little embarrassing for any USA born lady or gent. 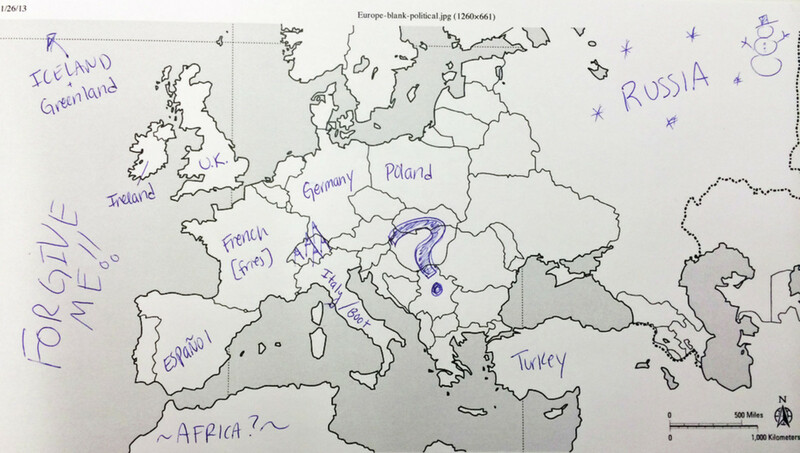 Hopefully this will serve as a nice reminder to study up on the world if your guesses are as good as these. 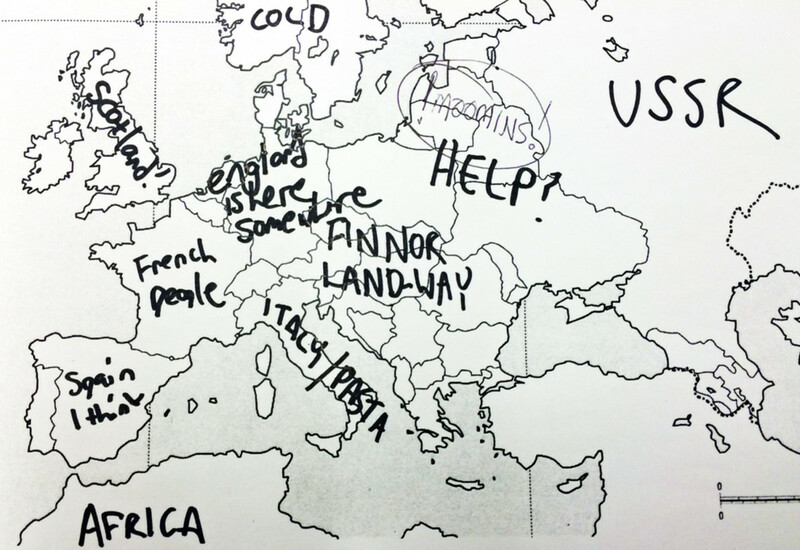 Although not necessarily a fair comparison, British people also tried guessing the 50 states in the USA.